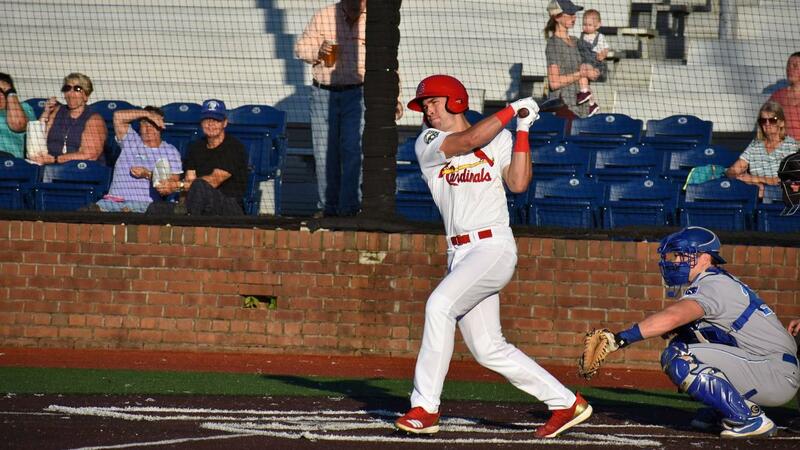 JOHNSON CITY, TN - After dropping the first two games to Burlington by a combined score of 31-13, the Cardinals bats thundered in the finale to win 10-8. The Cardinals drew first blood scoring two in the bottom of the first. Donivan Williams singled to start the bottom of the first. Then Michael Perri tripled (3) to score Williams and give the Cardinals the lead 1-0. After Leandro Cedeno walked, Andrew Warner singled to score Perri to increase the Cardinals lead to two. Zach Jackson was hit by a pitch and that loaded the bases Then with two outs, Sanel Rosendo reached on a fielding error that allowed Cedeno and Warner to score to give the Cardinals a 4-0 lead. The Royals answered with two runs in the top of the second to cut the deficit 4-2. The Royals scored again in the top of the fourth with two to tie the game at four, and they took the lead in the top of the fifth with one run, 5-4. The Cardinals tied the game with one run in the bottom of the fifth. Moises Castillo led off with a walk and Sanel Rosendo singled to advance Castillo to third. With one out, Donivan Williams singled to score Castillo and tie the game at 5-5. Colin Schmid got the start for Johnson City, but did not factor into the decision. Schmid pitched six innings, surrendering eight hits, four earned runs, two walks, and striking out five. The Cardinals exploded for five runs in the seventh inning to take a 10-5 lead. Sanel Rosendo led off with a triple (1). With one out, Rosendo scored on a wild pitch during Donivan Williams's at-bat to give the Cardinals the 6-5 lead. Williams then doubled (8) and advanced to third on a Michael Perri single. With runners on the corners, Leandro Cedeno singled and Williams scored to make the score 7-5. Perri stole third during Andrew Warner's at-bat to once again put runners at the corners. Warner then singled to score Perri to make the score 8-5. The Cardinals kept the inning alive with two outs, Liam Sabino doubled (5) to score Cedeno and Warner to make the score 10-5. The Royals had a valiant effort, scoring three in the top of the ninth, but the Cardinals would hang on to win 10-8. The Cardinals used two pitchers after Colin Schmid. David Oca was used first out of the bullpen. Oca would get the win, his second of the season. He pitched 2.1 innings, allowing six hits, two earned runs, and had four strikeouts. Parker Kelly was the final reliever used. Kelly went 0.2 innings, surrendering one hit, one earned run, and notching two strikeouts. 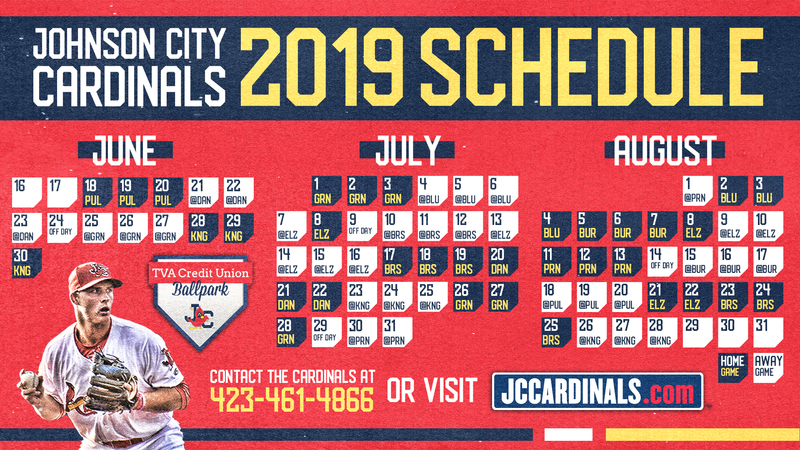 The Cardinals have six games remaining in the season and begin a three game series with Greeneville tomorrow, with first pitch slated for 7:00 p.m.